We are excited about your interest in taking our Using Twitter Effectively in Physical Education online course. Below you will find a brief course description, the instructor's biography, and course FAQ's. We estimate that this course will take 8 hours to complete. Once you have completed it, you may request the 8 PD hours towards your teacher licensure recertification. There is no graduate credit available for completing this course. We know you will find this course valuable and enjoyable. If you have any questions please email us at "courses@ssww.com". We have designed this online course for K-12 physical education teachers who are at all levels of skill with social media. The course focus is on developing knowledge and skills in the use of Twitter to enhance physical education programming. The purpose of this course is to describe some effective uses of Twitter techniques in K-12 physical education and enable teachers to apply this knowledge to their own classroom. Educators are increasingly taking advantage of the professional development and networking opportunities offered by using Twitter. This course will help physical educators learn about a variety of Twitter tools and develop ways to use them to enhance their Physical Education programs. Need to get your Professional Development Hours approved by your administration? Download this one page course description. Cindy Kuhrasch has had the opportunity to teach Health and Physical education to students in grades K-12 and undergraduate students as well. She is currently employed as a faculty associate in the Kinesiology Department at the University of Wisconsin where she teaches courses in methodology, assessment, community development and kinesiology. In addition, Ms. Kuhrasch has served as a consultant in many school districts; working in the areas of assessment, curriculum development, instructional strategies, and technology. 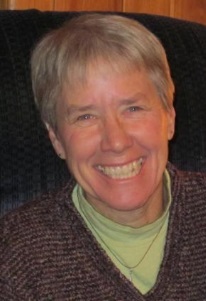 Ms. Kuhrasch has over thirty years of experience in course development, implementation, and evaluation. She has presented on a wide variety of education topics at state, district, and national conventions, and has written numerous articles in educational journals.